jtrautzfamily has no other items for sale. 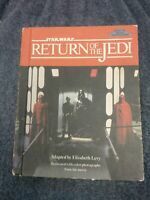 Star Wars Episode II Cereal Box ~ Collector's Edition-FREE SHIPPING- LOOK HERE! Star Wars Episode II Cereal Box Collector’s Edition #1 NEW & Never opened! Gentle Giant Star Wars Holiday Statue Speederbike Kustomz 2007-2008 Lucas Prod.